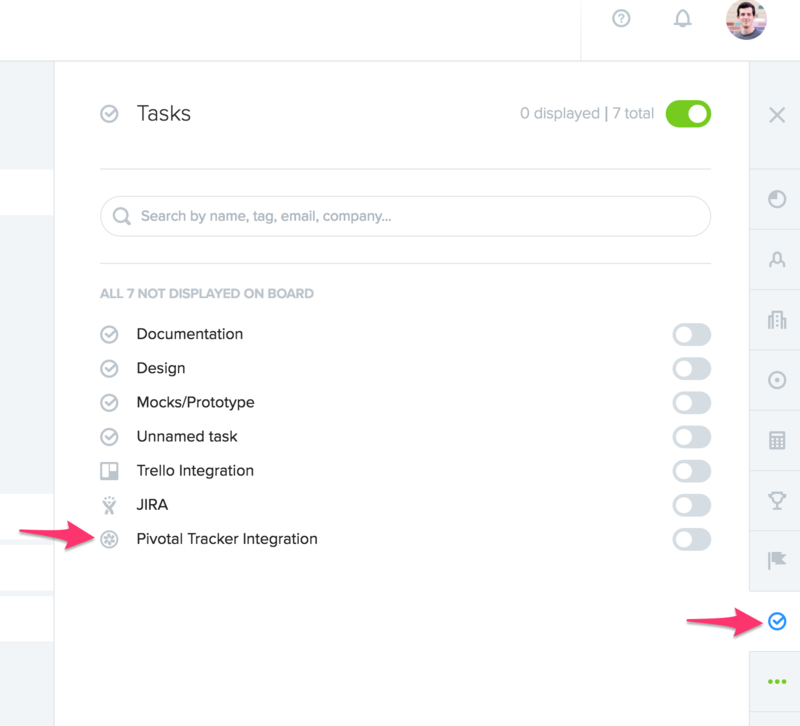 If you use Pivotal Tracker to track feature development, you’ll find it handy to integrate your Pivotal instance with productboard. Your engineering team can continue managing their development pipeline in Pivotal while product managers enjoy the flexibility of productboard for understanding user needs, prioritizing what to build next, and rallying eveyone around the roadmap. productboard's Pivotal Tracker integration allows you to push your productboard features and subfeatures into Pivotal Tracker and get status changes back. Map productboard feature to Pivotal Tracker epics and productboard subfeatures to Pivotal Tracker stories. Use auto-generated links to quickly navigate from a Pivotal Tracker issue to a productboard feature (or vice versa). Scroll all the way down and create new API token, unless you have one already. Copy the API token to your clipboard. Click Add new Pivotal Tracker integration. Paste in the API Token. Choose a Pivotal Tracker project into which you wish to push your features. On the Features board, click tasks in the configurations bar at right. Toggle on the Pivotal Tracker task column. Find the feature you'd like to push to Pivotal Tracker and click Push in the Pivotal Tracker Task column. At the time of push you will be prompt to decided if you want to push your feature as Epic or Story. If you choose feature to be mapped to Pivotal Tracker Epics, the underlying productboard subfeatures can be mapped to Pivotal Tracker Stories. You can always deactivate the integration or simply delete the special Pivotal Tracker task column. It's not yet possible to import stories/epics from Pivotal Tracker into productboard.